Software focussed with not much of a hardware component. Will require basic HTML skills for landing page. A few days back over a series of meetings at our incubator, Sproutbox, we came across the inspiration for our next project. As a co-working space, the venue plays host to a range of interesting workshops and they are pretty quick to update their website with their upcoming schedule. That said, we felt that there had to be a better way of informing everyone working out of Sproutbox about coming sessions and a whiteboard just wasn’t going to cut it. As technology enthusiasts, we keep trying to find a better way to do things through science and so we decided to have some fun over the weekend by hacking together a digital dashboard powered by a Raspberry Pi for the guys over at Sproutbox. The idea was to have a Raspberry Pi hidden behind a screen that would show a dynamically updating page with updated information about meeting rooms and upcoming workshops. We’ve documented the exact steps we took so that you can easily follow along. 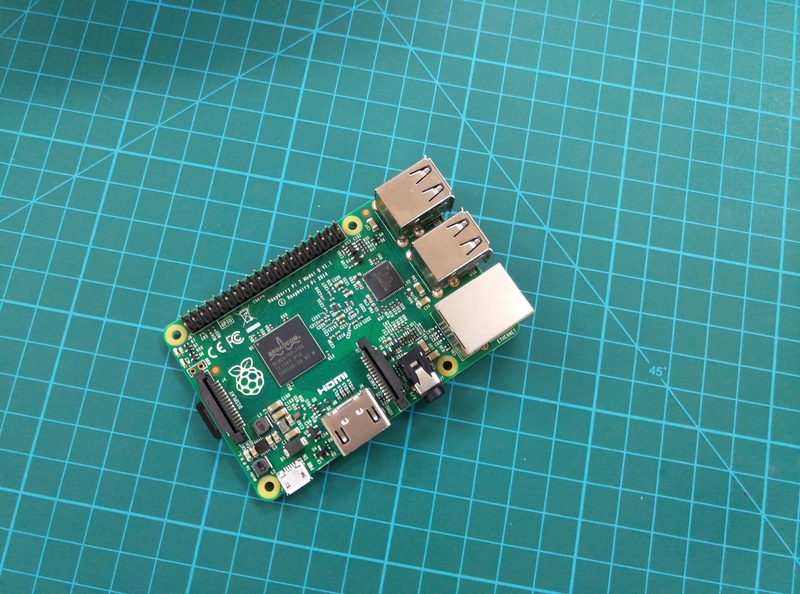 While we are assuming that most of you who are attempting this project probably already have a Raspberry Pi set up or are aware of how to get started with it, we’re including set up instructions from scratch to help first timers as well. Head over into option 8 ie Advanced Settings and enable SSH. If you installed Raspbian on your Pi using NOOBS, you will not have to expand the filesystem however if you flashed it manually, you should now select the expand filesystem option to gain access to the entire storage. Next, we set up the Raspberry Pi to auto connect to WiFi. Follow the steps below and reboot your Raspberry Pi using the command sudo reboot to ensure that the changes take effect. Now that we’ve got WiFi set up on the Pi, we can simply log in to it via SSH and make and changes needed without requiring a separate keyboard and mouse connected to it. Let’s also install Chromium and any updates while we’re at it to make sure that the Pi is all set up for configuration. Follow the steps below to do that. Adding unclutter to the code removes the mouse pointer from the display which is quite important for our usage. A kiosk or dashboard with a pesky little mouse pointer just wouldn’t look very professional, would it? We like to think that we’re a bunch of hard working guys and expect the same from our machines. Keeping that in mind, our next step was to play around with power management and similar settings to ensure that our dashboard didn’t go to sleep during operations. The Raspberry Pi loads up a specific file everytime it boots up. We’ll now be making changes to this file to control the behavior of the Pi once it boots up. This disables power management settings and stops the screen blanking after a period of inactivity. Since the Pi is going to be placed in a regular office environment, we wanted to ensure that it wasn’t daunting to use. Indeed, accidental power cycling or abrupt power failure is something that we had to account for. In this case, we wanted to make sure that the Pi did not display an intimidating error message when booted and instead went back to its regular task. The steps below show you how to do exactly that. Our final step was to point Chromium to the exact page we wanted it to load. As always, hit ctrl+o and ctrl+x to save and exit the file. You can of course replace the URL above with anything else you might want displayed. Reboot the system using sudo reboot to test everything out. If you’ve followed along correctly, the Pi should now reboot and bring you straight into kiosk mode displaying whatever URL you’ve added above. While the above mentioned steps are sufficient to get you started, our particular use case involved a vertically oriented monitor to display a longer list of workshops. 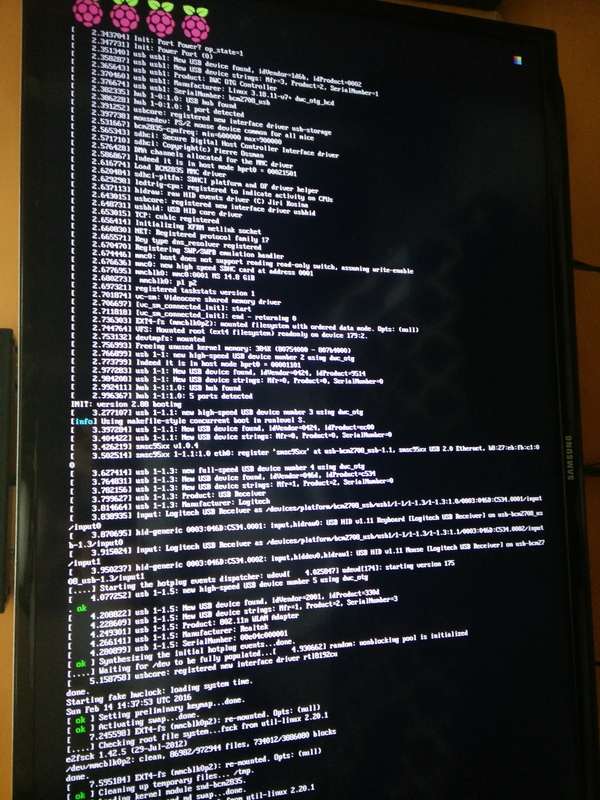 Thankfully, changing the display orientation on the Pi is a pretty straightforward process. Go ahead and SSH into your Pi and follow the steps below. Use ctrl+0 and ctrl+x to write to the file and exit. Done? Great. 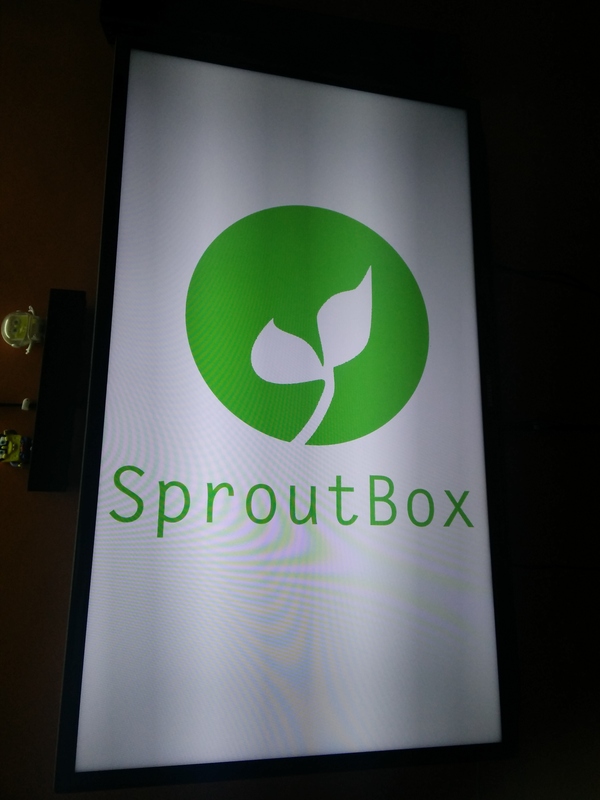 Since our project was going to be implemented in a professional setting, our final step was to display a custom Sproutbox splash-screen during boot up. Once again, SSH into the console. We’ll be editing the cmdline.txt file. – Replace “console=tty1” by “console=tty3” to redirect boot messages to the third console. We’ll be installing FBI which is a framebuffer imageviewer to enable our next step. Copy your custom splash image to /etc/ and name it “splash.png”. Our next step will be to make that script executable and install it for init mode rcS. Our final step is to reboot the Pi and we’re all set. If all went correctly, you’ll notice your custom splashscreen here and the Pi will boot straight to the webpage. There’s a thousand different ways you can use this around your house. How about running an RSS News Ticker with an image slide show above it? Or perhaps viewing timezones around the world while pulling your twitter updates over RSS? We hope we’ve got your inspired to build your very own digital dashboard! Questions? Hit us up in the comments section and we’ll be sure to answer them as soon as possible. To know more about SproutBox, visit them at www.sproutbox.in!